Nail Polish DirectUncategorizedThank you Mum! Mothers day blank? Don’t worry we have the perfect gift, that we know your mum will truly love to receive this year. Deep down we all want to spoil are mum’s this year, cars, holidays, spa get away you name it. But in reality it shouldn’t matter how much you spend or how big or small it is, it’s all about the thought. So at Nail Polish Direct we know that every mum wants to look and feel their best, and what’s one thing that we all can admit makes us feel that little bit more glam ? Nail polish? Well you’ve come to the right place. And we know what you’re thinking impossible to buy a stunning nail polish for someone else and not for yourself ? Well who says you can’t treat yourself as well, make the most of our free delivery over £15, and spoil yourself and your mum at the same time. Because think about it, if you’ve both got a fresh manicure, who is going to do the jobs around the house? Oops..
And the great thing about Nail polish is there is no need to panic about what size to get or will she like it ? Because there is something for everyone, even your mum, since we know mothers are like nails, they are all different. So Browse through because you can’t go wrong. Look through our thousands of new spring 2019 collection formulas, from high pigmented salon quality natural shades, to bright chip resistant glossy spring inspired colour’s. And give your mum something every girl wants, a non patchy, full coverage professional manicure for half the price this Mothers day. What more could anyone want? OPI is one of the most well known nail polish world wide, with it’s extraordinary formula, fashionable colour’s and abstract names, OPI’s unbelievably pigmented polishes are rich, long-lasting, and chip-resistant offering an affordable purchase to buyers. 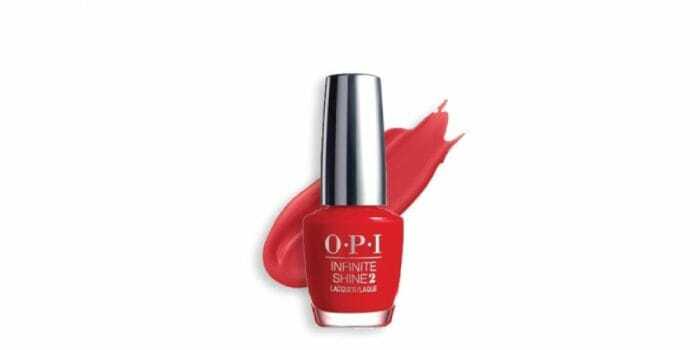 So don’t hesitate to look at the new OPI TOKYO 2019 collection offering a range of new high quality fashionable shoes with a new creamy formula. NalBerry’s long lasting gloss and anti fading colour’s has become an award winning nail polish over the years, and is still showing us why. With its endless amount of benefits all into one nail polish brand, it just doesn’t get any better. From being vegan and cruelty free, 12-free from toxins, halal and having a advanced oxygen technology, NailBerry is a complete must have. So look through their range of high shine spring colours, you won’t be disappointed. Not only is Zoya Vegan friendly and cruelty free, it is also one of the most advanced professional beauty products ever created. With its endless number of colour’s from natural nudes to ruby reds, there is a colour for everyone. This natural strengthening toxin free nail polish, is an overall win win, and a 100% must have this mother’s day for a salon quality look from you home and for a lot less.